Honestly, I didn’t set out to make gluten-free brownies. I was actually thinking of this recipe as a biscuit-y slice. But when I’d mixed it up for the first time, I saw the brownie potential. I’ve never really aspired to develop my own brownie recipe – there’s so many out there. Who needs another one? That being said, I have once before delved into the glorious world of chocolately fudge. I created a gluten-free clean and mean brownie, with no added sugar and whole ingredients. 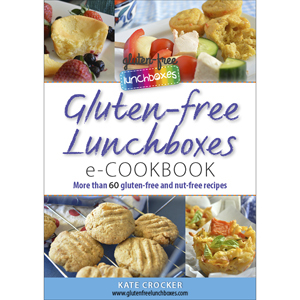 It’s in my eCookbook, which you can purchase here. I really love ginger. I mean, I LOVE it. It tastes brilliant fresh, or dried and ground, and it’s so, so good for you. For more information about the nutritional properties of ginger, click here. Yep, because I’m a ginger loving redhead, you could call me a ginger nut! I also love the combination of ginger and chocolate and it makes a pleasantly surprising twist to the universally loved gluten-free brownie. This recipe has added sugar, but it’s fairly restrained, making it great for lunchboxes. It’s got prunes in it which are great for a hefty dose of fibre and … er … to keep things regular. I worked on it for a while so that it would be fudgy and gooey and generally pretty delectable. Kids don’t like the ginger? No problems. Just leave it out. Want a more adventurous combination? Try a hint of chilli or some sea salt sprinkled over the top. Want to up the sugar content for a special treat? Just throw in a handful of chocolate buttons. 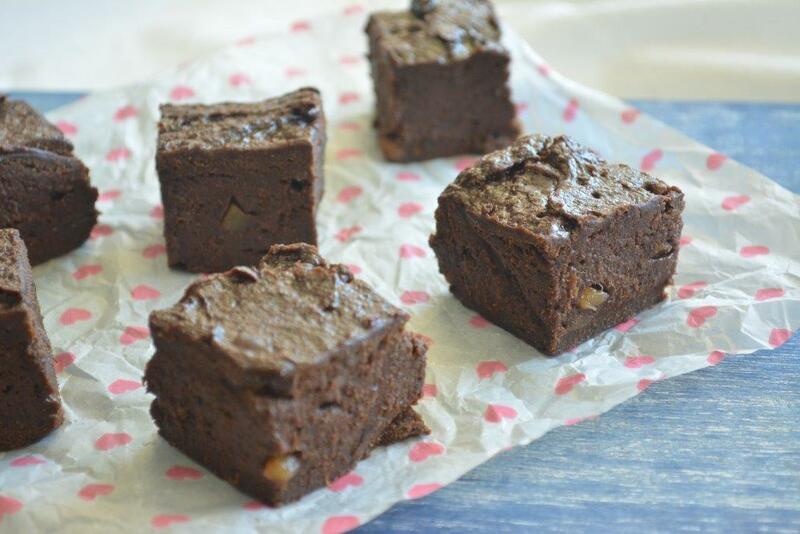 But however you like your brownies, you’ve just got to try this recipe! Ensure that any remaining seeds are removed from the prunes. Put prunes in a glass or ceramic bowl and cover with water. Cover the bowl with a plate or plastic wrap and microwave on high for 4 minutes. Drain thoroughly and purée. Set aside to cool a little. In the meantime, into a large bowl sift the tapioca flour, sorghum flour, brown rice flour, cocoa and psyllium husk. Add the sugar, eggs, butter, milk, ginger and prunes. Mix until combined. Pour mixture into tin and spread evenly. Bake for 25-30 minutes or until a crust forms on the outside and mixture is just set but moist and fudgy on the inside. When completely cool, cut into 4 cm squares.